The NETELLER registration takes less than five minutes and is simple. 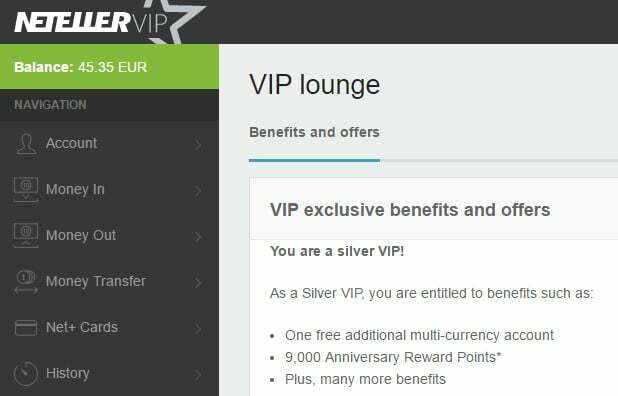 Instant NETELLER Silver VIP Status. Free Net+ MasterCard with highest limits. up to 1% Bonus on your transfers every month. Make sure to use our promotion link for the NETELLER registration to benefit from our special NETELLER Benefits and NETELLER cashback program. At the NETELLER registration form, enter your email address, choose your country of residence and state and select the account currency of your choosing. Make sure to use a currency that you can use often at ATMs or merchants to save currency exchange fees. Make sure to send us your data for verification, so you can enjoy all the benefits of our eWO Bonus program. Login to your NETELLER account and upload your documents directly from within it. To fully verify your account you need to upload a copy of your passport or ID with both sides and all four corners visible, a selfie with your ID document next to your face as well as a document which verifies your address (like a utility bill) – our clients can directly upload their document to get instant NETELLER Silver VIP Status with the highest deposit, transaction and NETELLER Net+ MasterCard limits – no deposit or webcam needed! Once your account was fully verified we can upgrade your account to silver VIP level including the highest withdrawal and transfer limits of 50,000 USD / transaction (no daily, weekly or monthly limits anymore). To request your free VIP upgrade, please use our VIP upgrade form at the bottom of the page and enter your account details. Your account will be upgraded within 1 business day. That’s it! You can now enjoy all benefits of our eWO Bonus Program and earn monthly massive NETELLER cashback by using your NETELLER account for money transfers to merchants. NETELLER allows to have multiple currency accounts while every account is handled separately. For each currency account, you will have a different email, password and spending amount. Please note, an additional currency account needs to be fully verified as well. If you are a registered client of us, you are directly silver VIP customer and allowed to have multiple currency accounts. If you are not a client of us yet, please fill our application form to become added to our free Bonus Program and therefor upgraded to silver VIP level. The NETELLER registration for your 2nd currency account works as your first registration. Please make sure to use our link for the NETELLER registration to benefit from our special NETELLER bonus and NETELLER cashback program. At the NETELLER registration form, enter another email address as you did for your first account, choose your country of residence and state and select the new NETELLER account currency of your choosing. Please note that the NETELLER system will most likely automatically freeze your new account. To unlock your 2nd currency account, please send an email to vip@neteller.com to request the activation of your 2nd currency account. 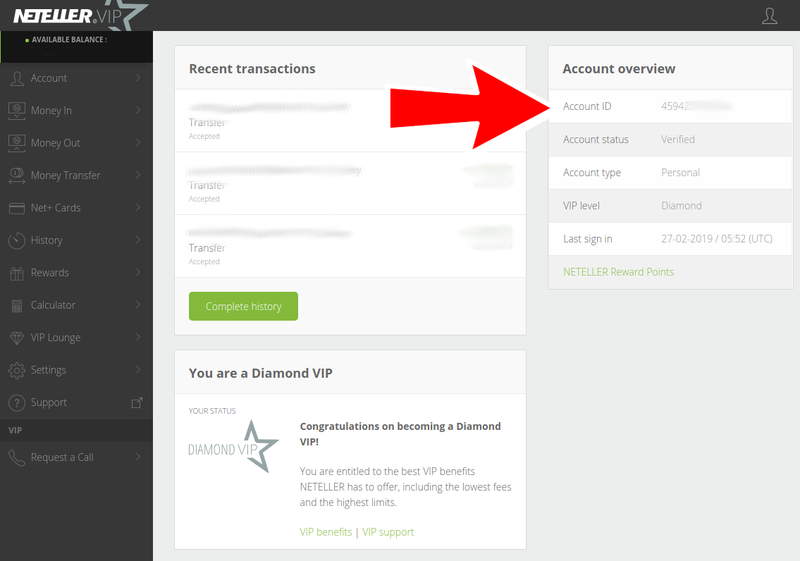 The NETELLER VIP team will then transfer your verification and VIP upgrade from your 1st account and your new account will be ready within 1 day. Enter the details on our NETELLER Bonus Application and await confirmation by us that comes via email. Earn monthly NETELLER cashback with our program by using your new NETELLER currency account for money transfers to merchants. Please note that only accounts which are tagged and linked with us as your affiliate can be participate in our monthly eWO Bonus Program. If you want to switch your NETELLER currency, you can do so by following these NETELLER register steps and will benefit of our special NETELLER Cashback program. Before you start, please redeem any VIP points you have left and make sure no balance is left in your account. To close your old currency account, log into your account, go to Settings and click “Close account”. You will then be asked to select a reason for account closure. By clicking on “Close my Account”, you will finalize the process. Once your old account is closed, you can register a new NETELLER currency account. Please make sure to use our link for the NETELLER registration to benefit from our special NETELLER bonus and NETELLER cashback program. At the NETELLER registration form, enter your email address, choose your country of residence and state and select the new NETELLER account currency of your choosing. Please note that the NETELLER system will freeze your new account most likely. Please contact NETELLER and let them know you registered an additional currency account. Afterwards login to your new NETELLER account and upload your documents directly from within it. To fully verify your account you need to upload a copy of your passport or ID with both sides and all four corners visible, a selfie with your ID document next to your face as well as a document which verifies your address (like a utility bill). Our clients can directly upload their document to get instant NETELLER Silver VIP Status with the highest deposit, transaction and NETELLER Net+ MasterCard limits – no deposit or webcam needed! Enter the details on our NETELLER Bonus Application and await confirmation. Earn monthly NETELLER cashback with our program by using your new NETELLER currency account for money transfers to merchants. Please contact us if there might be any questions or problems with your NETELLER registration. 2 Send the data of your new account below to join our FREE eWO Bonus Program. 2 Send the data of your new account on the left to join our FREE eWO Bonus Program.